Note this should actually *increase* the number of parking spots. 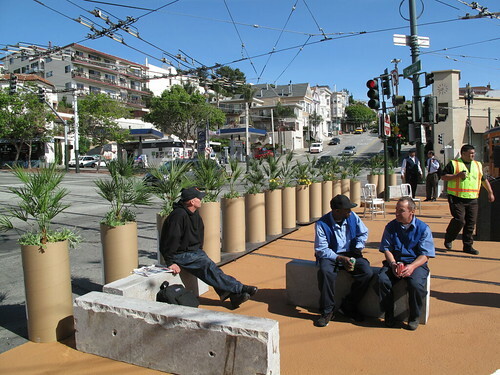 This new plaza saw heavy use this weekend, according to SF.Streetsblog. Note lots of room for street food carts in both parks!